It's a Music Authority Family Takeover while Melissa's in California! A perfectly reasonable and frequently asked question when registering for lessons at Music Authority. This is not to criticize anyone who has ever asked this open ended and incomplete question - but it does require some background information in order to give any resemblance of a quantifiable answer. First, let’s complete the question: “How long will it take to learn how to play...a note, chord, riff, a song, adequately, proficiently, professionally?” The list goes on. Let’s break it down a little more. What is your goal in wanting to take lessons? One of the best answers I ever rescued to this: “My wife and I are having a baby soon and I want to be able to play lullabies.” Precise and relatively quantifiable given the end goal but still not easily determined. But, truth be told, there are no imperfect answers to this question. Some students take lessons because they simply enjoy music and want to learn more about the process, some wish to hone the skills they learned in their youth. Some want to be rock stars or concert pianist while others don’t fit into other extra-curricular molds and just know they like the way guitars look and sound. Each reason comes with a different level of dedication and once again, cannot be quantified. But, a desire to learn, to expand your knowledge and add “musician” to your repertoire is an awesome goal and is to be applauded on any terms. How much time are you willing to practice? A questions that begs to be answered in an exact number. Most Instructors at Music Authority will ask you to practice a minimum of your age in minutes per day. If you Google “how long will it take me to learn how to play an instrument?” You will find a slew of answers. The range is 30 minutes to 3-4 hours per day depending on your dedication, willingness and aptitude for learning (we will get to this later). In his book, “Outliers: The Story of Success”, author Malcolm Gladwell mentions a study that dares to put out a more specific time frame stating it takes “10,000 hours, or roughly ten years, to become a genius at something.” This is based on the fact that “every great composer practiced for at least 10 years before they wrote their master work.” Even the most honest and realistic responses to this question will not earn you a guaranteed deadline answer. Even Google agrees! How good are you at learning a new skill or task? This question is VERY relative but an important one for the staff and instructors at Music Authority. Each skill or task is as unique as the student willing to take it on. How do you learn? Are you a visual learner? Do you do better in a traditional structured learning environment? What is your taste in music, rock, country, show tunes? From young children to adults - when you become a student, you learn at your own pace, in your own way based on your desire to achieve your goal. Some students take to their instrument from the first lesson, practice minimally and become amazing musicians while others struggle to get through each of their first lessons, practicing endlessly before they catch on or find their groove. Not giving up is the key here and giving it at least three months before any decisions or instrument changes are made is a good time frame. 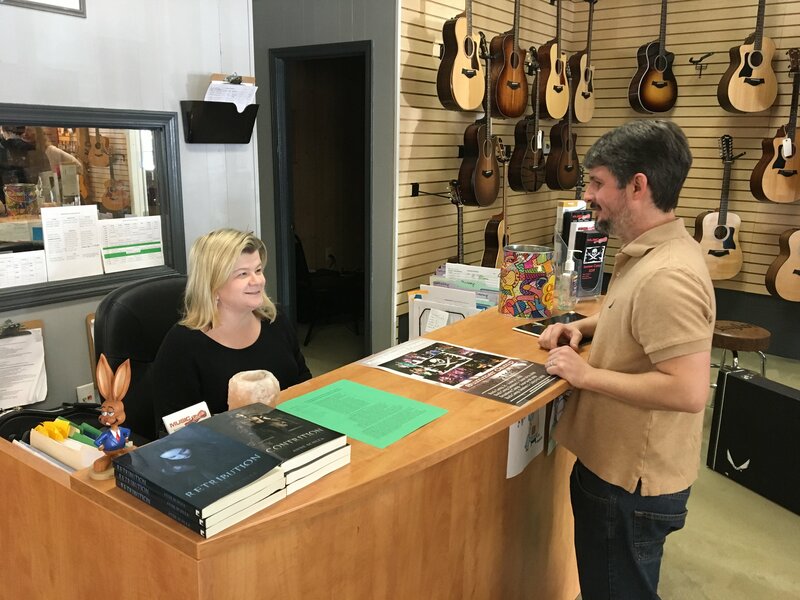 Making your lessons work for you is Music Authority’s goal. Struggling doesn’t mean you’re unable to learn, it just means we need to figure out what’s not working and fix it to the best of our ability and with your help. Maybe it’s the instrument, maybe it’s the wrong size. Could it be your lesson time? Maybe it’s too late or too early or the wrong day. Maybe you do better under pressure and you need a performance date locked down. My son Dominic is a drummer at Music Authority. 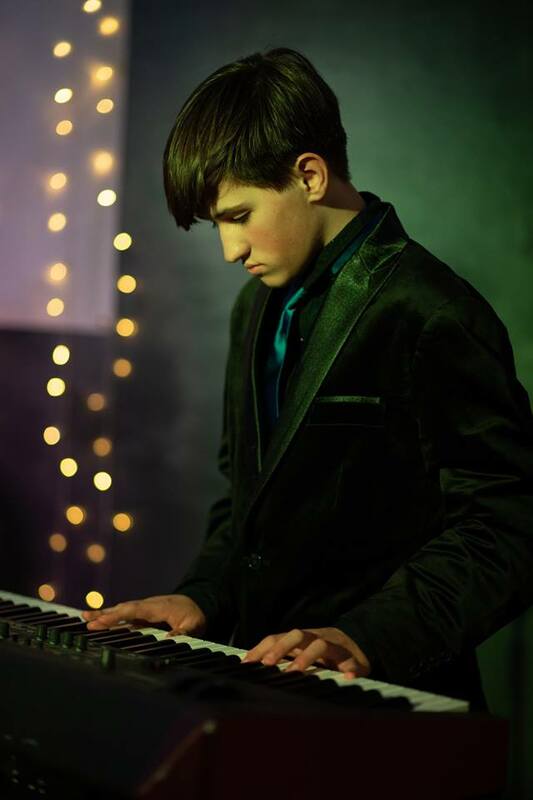 He first took piano lessons at Music Authority back in 2013, then guitar, and then finally drums. 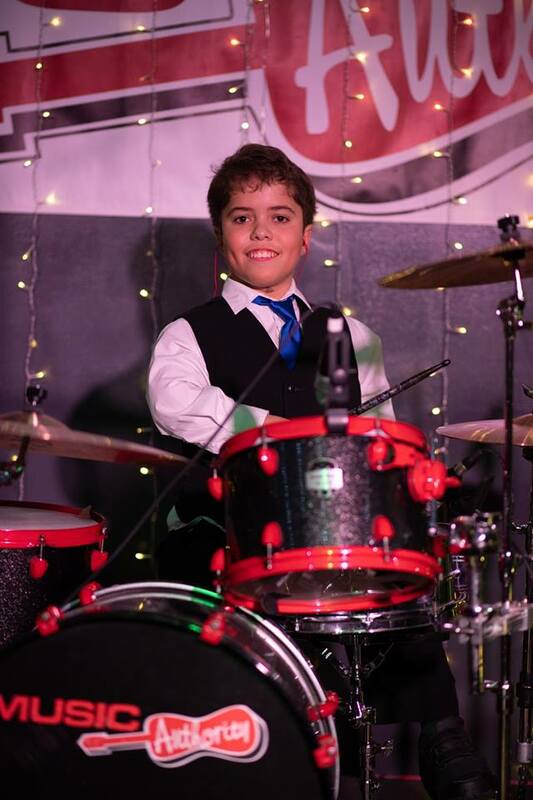 Since starting in Unveiled in January 2016, Dominic’s goal was to one day play drums in Eclipse. That opportunity came sooner than we all expected last July. Dominic jumped in and learned 30 songs in about two weeks! Dominic loves being in Eclipse. He was ready for the challenge, and it has made him a much better musician. He loves the opportunity to play more gigs, to write and perform original music, to meet other bands, and to get great experience seeing how things work in the music industry. It really has been a dream come true! My favorite piece of gear is the loop pedal. The loop pedal is a pedal that records what you play and loops it over and over again. It can be used with a variety of instruments. The loop pedal can help any student practice soloing and playing along to chords or a melody. The loop pedal also gives you the ability to stack different parts of a song making an excellent tool for writing music. The loop pedal gives one person the ability to play as thousands of people making it my favorite piece of gear. Jackson Warren is a sales employee and multi instrumentalist in our showcase band, Eclipse, Guitar Ensemble, and Tribute. He is a Lambert High School student hoping for a job in the music field. He has been playing music since he was in second grade. Teaching music is an incredibly intense occupation, if done correctly. Our students develop technical skills and devour information with such hunger. We, as educators, have the overwhelming and exciting job of keeping students engaged by introducing them to a broad spectrum of interests. But, each student is wildly diverse. Whether it is in age, circumstances, or motivations for being a part of Music Authority. This is what I believe makes being a teacher so fulfilling. We are able to interact and understand the student on a level that many other activities are not able to provide. We are teaching our students life and personal skills. Music teaches them patience, responsibility, how to interact with others and to feel comfortable within themselves. The video of the week has been taken over by Savannah Hughes, guitarist from Music Authority's Eclipse. 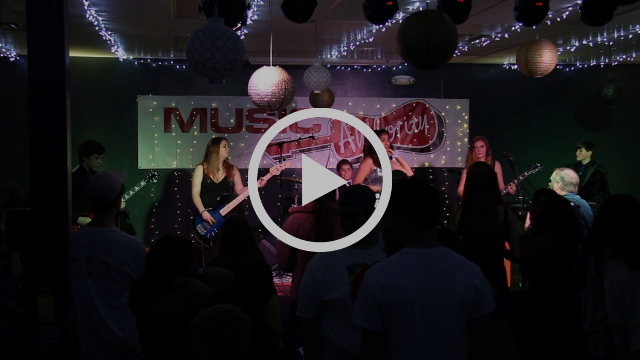 Savannah's favorite performance with her band from 2018 was Mr. Brightside on New Year's Eve. 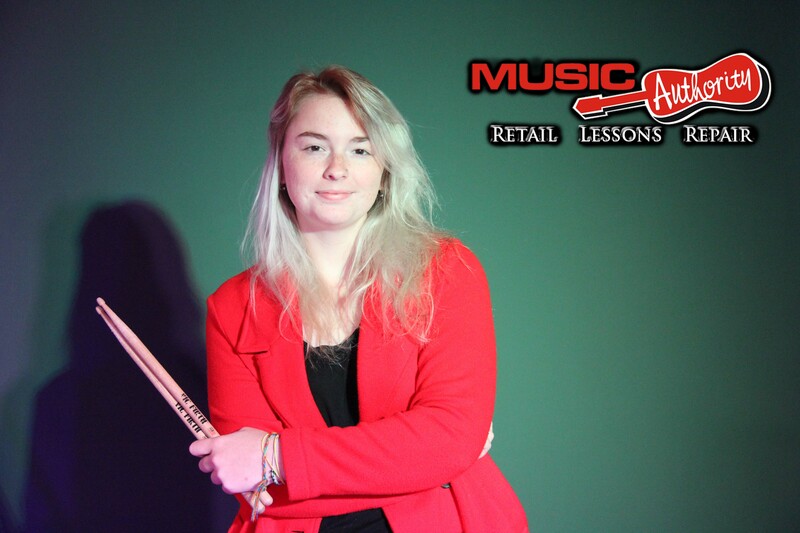 In music authority, we are not just guided to learn how to play musical instruments. We are also guided with the right taste of music in all situations, may it be to an event or simply to our personal taste. Just like what I said, it will always feel good when you know that your life and your taste are both on the right track. It feel like there's no heavy burden you are carrying! I am hoping that more and more people will be familiar with Music Authority and seek help for what they need!